Inverleith House is delighted to launch its 2014 exhibitions programme with a major solo exhibition by Alex Dordoy (b.1985, Newcastle-upon-Tyne), his first in a UK public gallery. 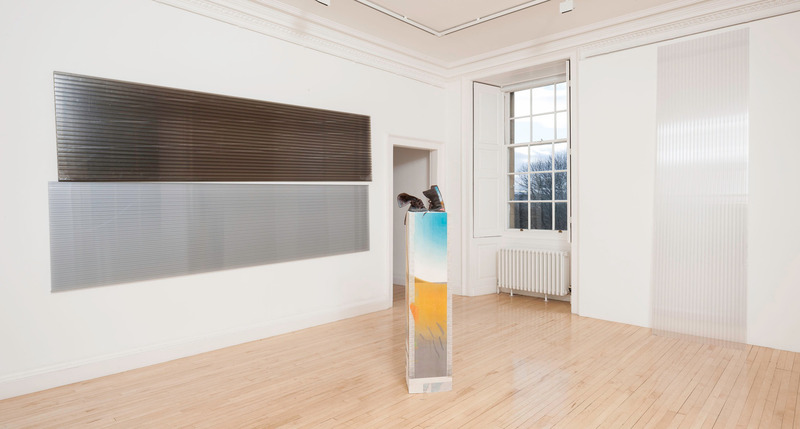 Made for Inverleith House, all of the works in persistencebeatsresistance are being exhibited for the first time: paintings, sculptural plinths, cast objects and large wall drawings have been installed by the artist throughout the gallery in its seven ground and first–floor rooms. Dordoy’s working methods embrace both skilled craft and high technology, use existing objects, photographs, images and patterns and co-opt processes which reference reproduction and duplication. 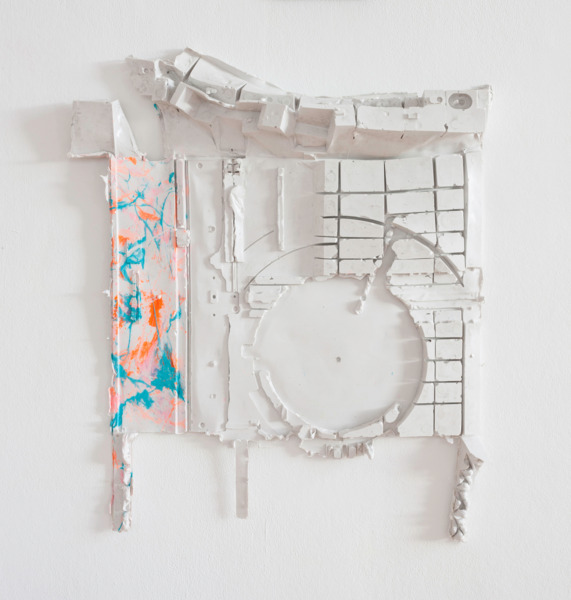 Dordoy casts and moulds using materials such as plaster, glass and silicone; he reproduces imagery by scanning, printing, photocopying and by direct transfer; and he manipulates images digitally using computer software or the application of paint. In this way Dordoy builds up layers of reference and association until the original sources become remnants. 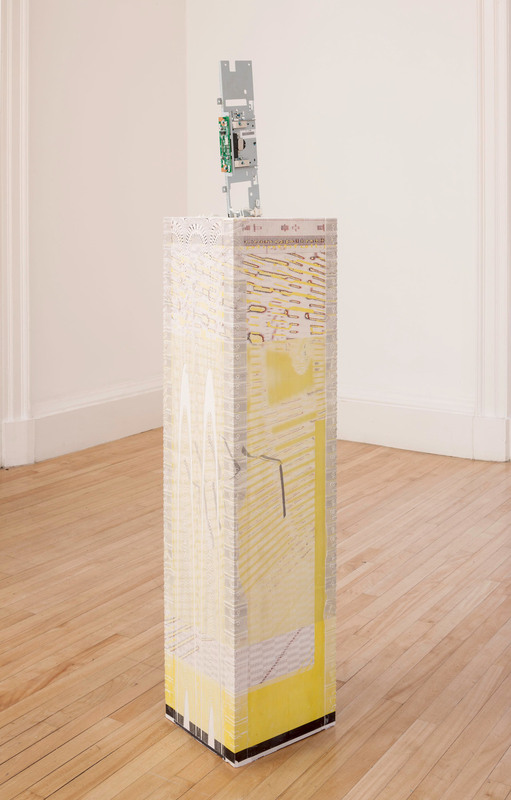 persistencebeatsresistance pivots around two sculptural objects: a small totem pole made from a bust of the revolutionary socialist Karl Marx; and a gutted, disassembled photocopier. 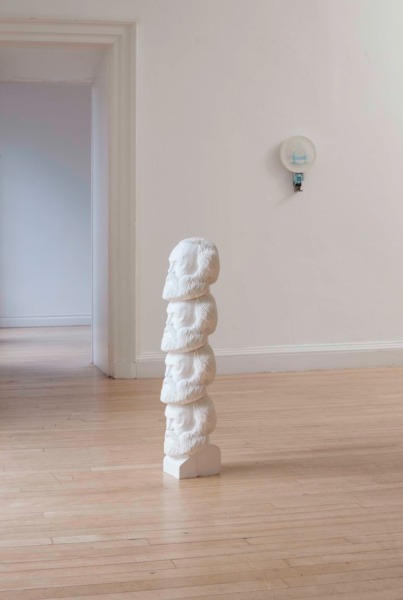 The totem is a vertical assemblage of plaster casts taken from a wooden bust of Karl Marx (1818–1883) hand-carved by Dordoy’s father. Marx’s head and shoulders are stacked in vertical formation in a playful homage to both Marx and the artist’s father. This stern, yet absurd portrayal of Marx evokes the politics of reproduction and places the exhibition within a critique of capitalist systems and labour economies. 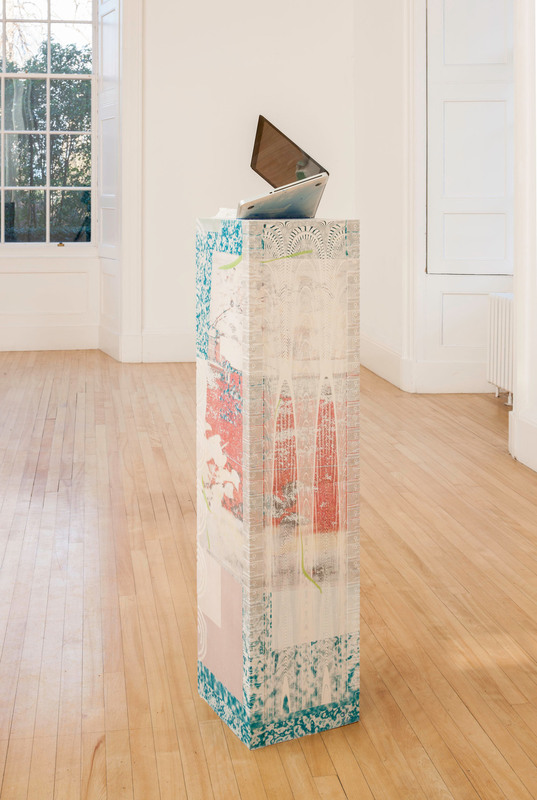 Depicted as a totem, Marx is put forward as a talismanic figure of worship, whilst the ironic repetition of his form draws attention to the material qualities of the object itself, subtly undermining the great philosopher and economist’s principals. Meaning, for Dordoy evolves elliptically and is fundamentally transient. The photocopier, which itself is a totem of modern office culture is presented in the exhibition as a sculptural object. Redolent of the workplace and a ubiquitous tool of cheap and ready reproduction, the photocopier has often been used as a motif by Dordoy. Here, the machine has been dissected and its internal components have themselves been copied in ways (and for purposes) never originally intended. 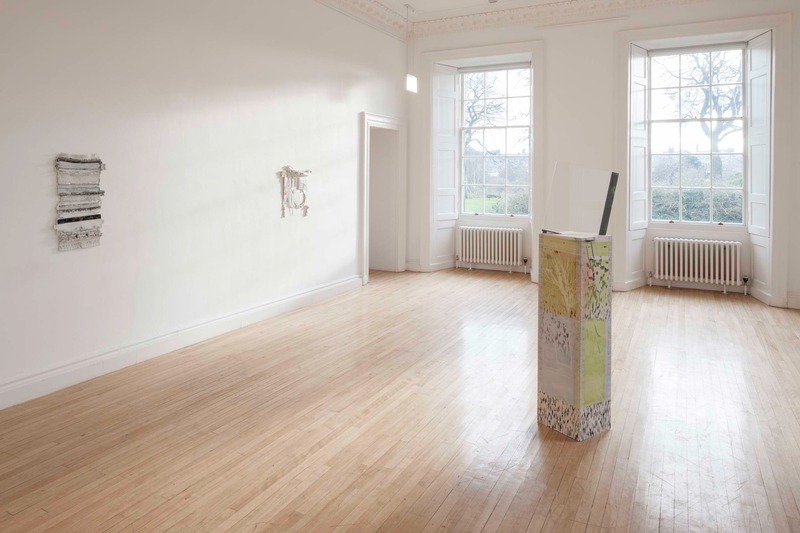 A number of ‘skins’ have been produced from these elements – created by pouring lightly pigmented silicone over the copier’s deconstructed parts, which have then been peeled off and now occupy the gallery walls. These odd, translucent skins seem to suggest something raw and organic, like a carapace drawn out from within the machine. The brutalised photocopier is seen as a metaphor for the cult of reproduction in contemporary society and its instrumental role in the workplace again references Marx. 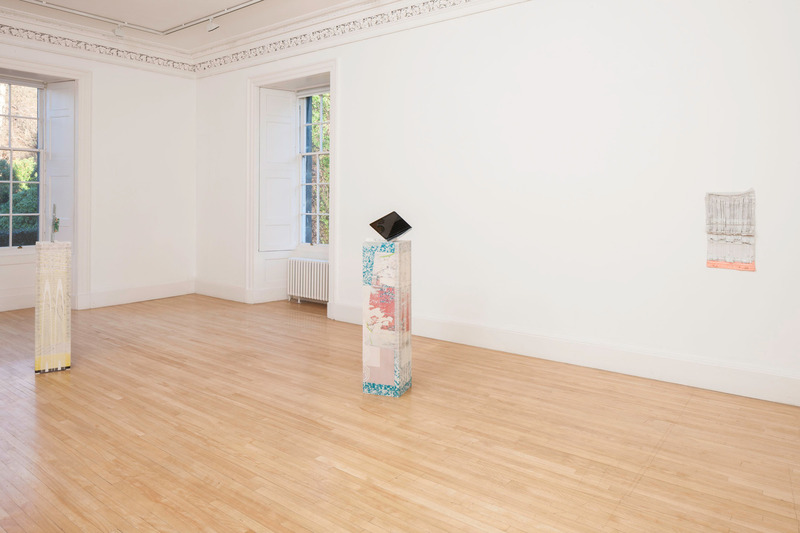 The exhibition is elsewhere populated by a number of decorative plinths: cast in Jesmonite and embellished with transfers, they do not support objects, but rather appear to have absorbed them into the display unit itself. 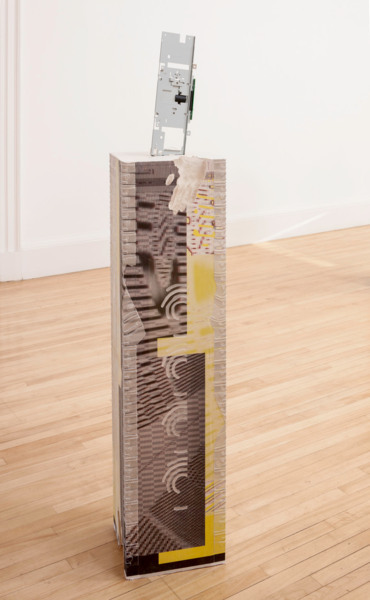 The ornamentation applied to these plinths using laser-printed transfers derives from the markings on ancient Chinese burial objects called ‘congs’, whose original purpose was to carry the souls of the dead to the next world. 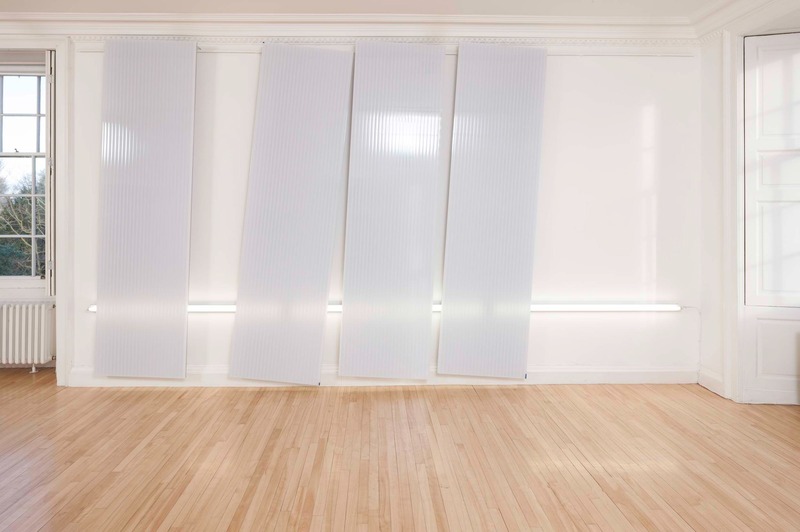 Here, the borrowed patterns still evoke the object’s transcendent power and original use, yet this small shift from the spiritual to the commonplace provides an unexpected bathos. 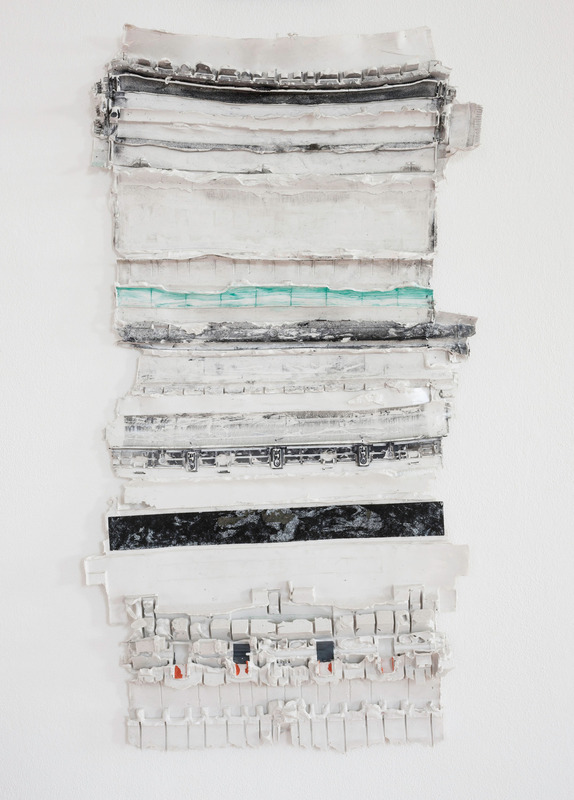 Dordoy’s innovative and investigative use of such hand-made and mechanical processes invites imperfections and proposes different readings and meanings. He deliberately employs skill and technique to gather ‘flawed’ results. 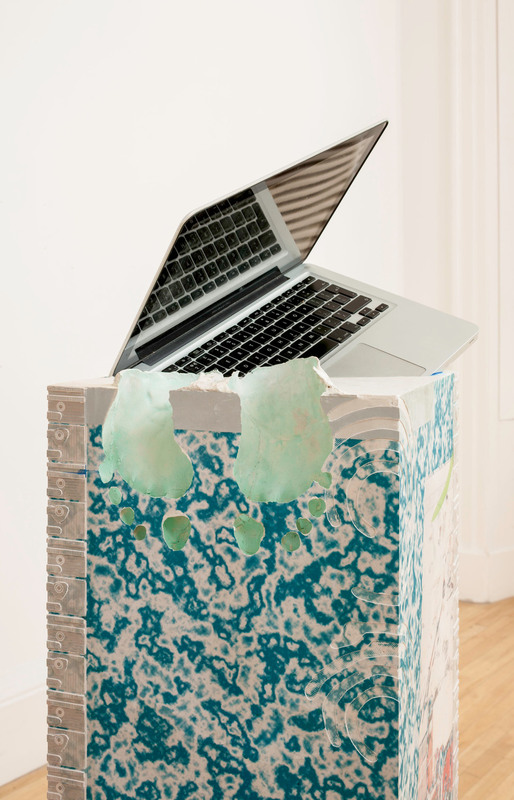 The digital software programme Photoshop, for example, is commonly used to manipulate or prepare photographic images for professional reproduction but Dordoy uses it to skew, warp and distort images which are in turn used as the basis for paintings, whilst cast sculptural objects are then used as the basis for the application of painted, borrowed designs. By appropriating and distorting the techniques and methods of reproduction, Dordoy apprehends the sleek continuity of the work of art in our digital age and turns it inside out. For him, imitation is not seen as an end point but rather as part of something more akin to anthropological enquiry. One of Dordoy’s primary concerns is to deal with ‘the afterlife of objects’; their ability to evolve and project transformations of information and meaning through time. 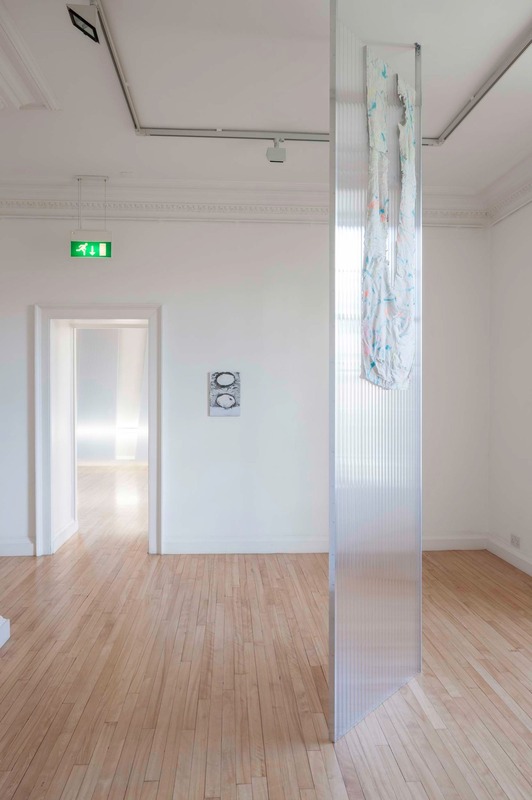 In so doing, he proposes an open-ended renegotiation of ideas, forming obscure connections, evoking personal and sentimental allusions and playful associations selected from cultures past and present, distant and immediate.